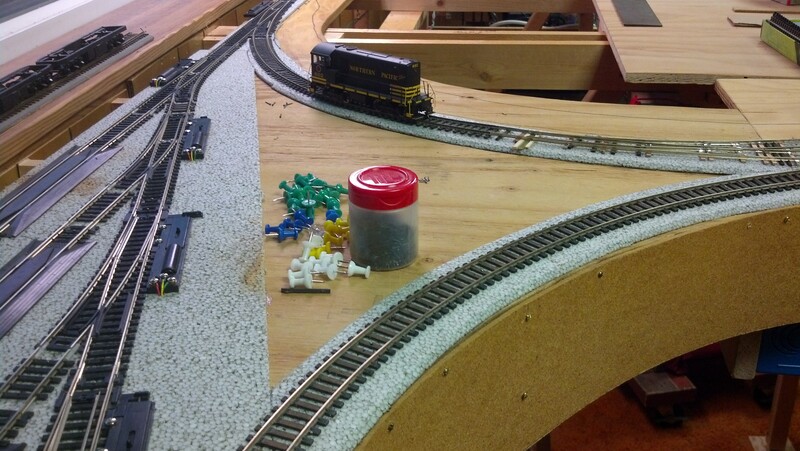 Yesterday I completed the track wiring for my reversing “Y” on the backside of the layout into the staging area. 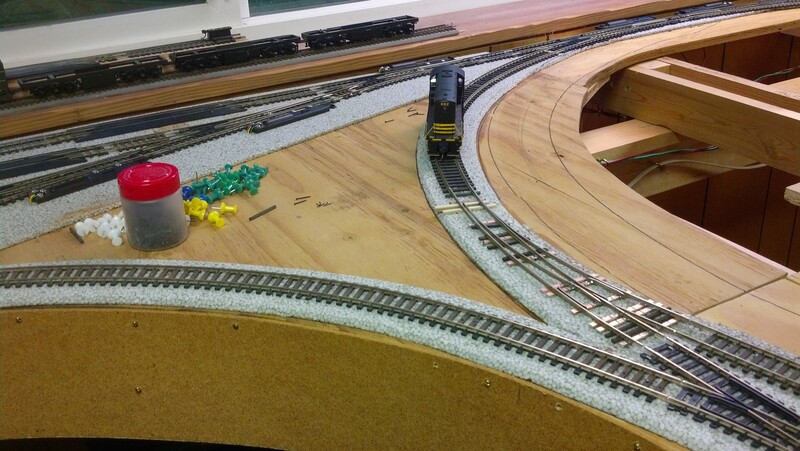 This afternoon I will wire up the turnout motors and then move forward on the Yakima loop track. For the last several days I have been looking into converting to a NCE system and selling my Digitrax gear. The Willamette club where I operate runs all NCE. 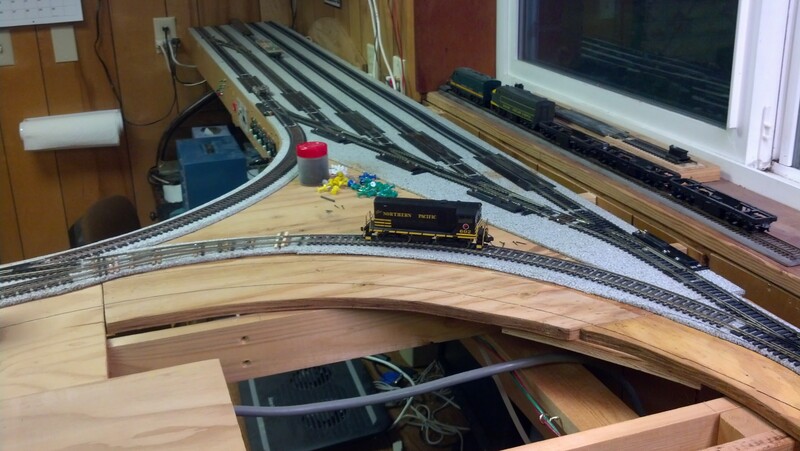 This entry was posted in Layout Construction and tagged reversing Y on October 27, 2016 by Capt.Brigg.